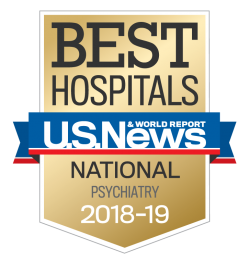 A day hospital is an intensive, focused treatment program for individuals who need acute psychiatric care, but do not require the 24-hour monitoring they would receive in an inpatient program. A day hospital is a step below inpatient hospitalization treatment in terms of level of intensity. Many people attend a day hospital, also called a partial hospitalization program (PHP), after being discharged from an inpatient unit. A day hospital program allows an individual to receive therapy and other treatment during the day while returning to the comfort of their own home and support system in the evening and on weekends. While many individuals attend a day hospital program after engaging in inpatient care, others may enter a day hospital because they need the daily, intensive care a hospital unit provides, but do not need the 24-hour monitoring a person receives at an inpatient hospital. Typically, day hospital programming includes seeing a psychiatrist for medication management regularly, participating in therapeutic groups, and engaging in other psychosocial educational programming throughout the day. Individuals are admitted to day hospital programs after discharge from an inpatient hospital or directly from an emergency room or a doctor or therapist.